I always save the paper towels that I use for clean-up when I'm painting. 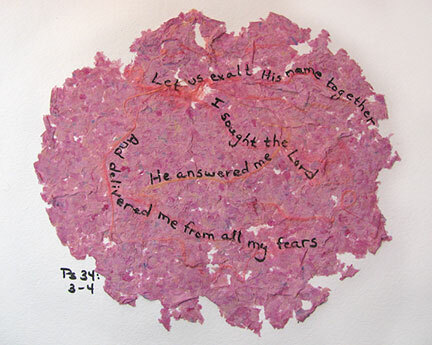 It makes me feel less wasteful knowing that these papers will be reused in future collages or in recycled paper making such as I'm going to show you today. 1. 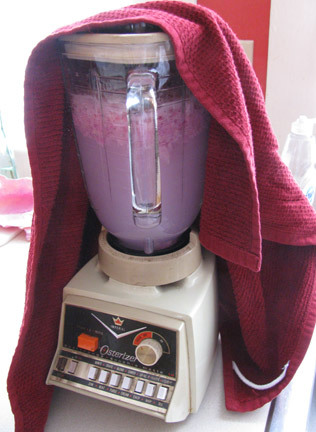 Tear up the paper towels and place about 1 c of shreds into a blender that's 1/2 to 3/4 full of water. 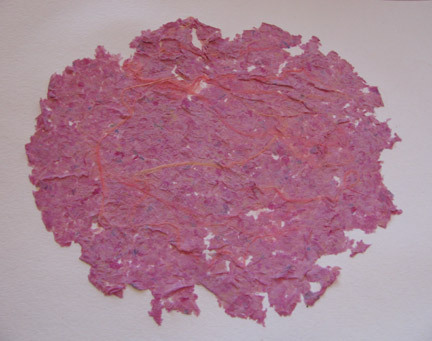 Blend in short bursts and then blend until paper is pulped. 2. Place the hoop, concave side up, into the shallow dish and pour the pulp and water into it. 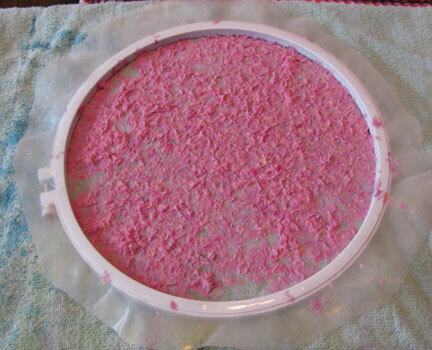 Swirl and use your fingers to distribute the pulp over the organza. 3. Place the hoop onto stacked cloth towels and press with a sponge to drain out most of the water. 4. Add inclusions if using. You may need to add another smaller amount of pulp over top of these to hold them in place if using heavy objects. 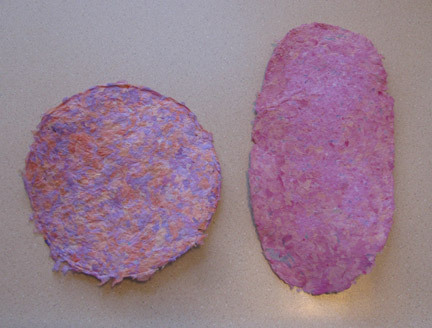 Soy silk or other roving fibers, small dried herbs, and colorants can be added without additional pulp. 5. Drizzle or spray some diluted matte medium over the top. Press gently to make sure the paper is saturated but the inclusions are not disturbed. 6. 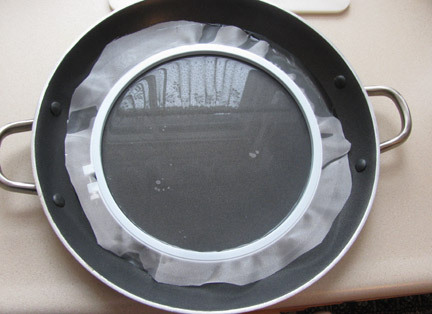 Turn hoop over onto a flat surface covered by waxed or freezer paper. 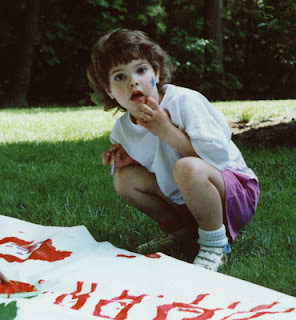 Gently rub the organza to loosen the paper from the fabric. 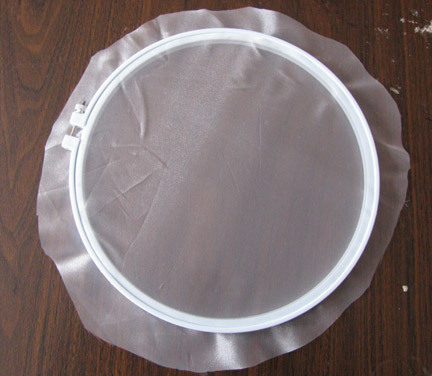 Loosen the hoop and remove, gently peeling off the organza. 7. 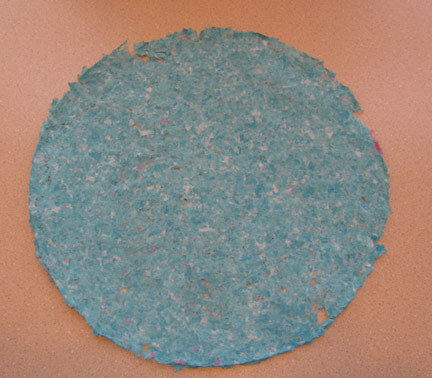 Allow the paper to dry completely before using. What a wonderful way for instant paper! Just think of all the things one could do with this! Its enough to get my fingers itching to start doing! Thank you for this mini tute. Wow, I never knew you could do this! What a handy way to make use of all those paper towels I throw away. What a fun way to upcycle used paper towels. Thank you, Cyndi.